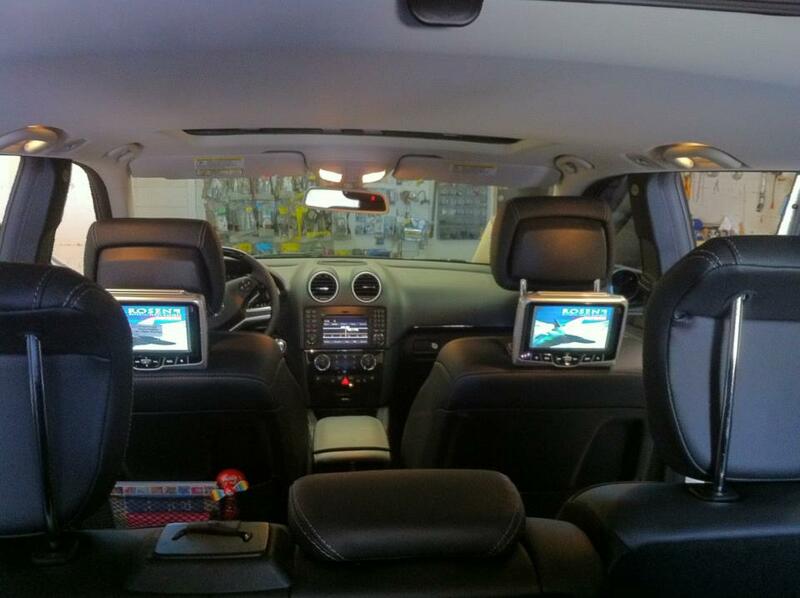 Each ROSEN AV7800 Rear seat entertainment | Piggyback DVD system comes with 2 wireless headphones, wireless remote and game remote control. The ROSEN AV7800 Rear seat entertainment | Piggyback DVD system provides 2 DVD player in each headrest with the options to watch 1 DVD in both headrests. The ROSEN AV7800 Rear seat entertainment | Piggyback DVD system is designed special for vehicles with factory power headrest and SRS headrest system, it can also be used for any vehicle if you would like to keep your factory headrest and just add rear seat DVD system. With The Smartkey Starter you can start any Smartkey equipped Mercedes Benz. 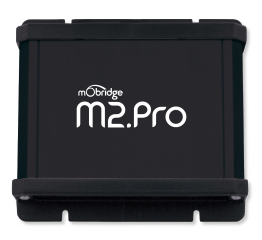 All mObridge M2 Pro products now ship with Bluetooth Audio Streaming and Control as standard across all vehicles for complete Bluetooth browsing just like a hardwired iPod. The mObridge M2 Pro also provides a full USB port for easy software updates as well as providing 1A charging capability for your phone.It allows the use of the vehicle's factory controls and display unit to control and browse the telephone book and call lists of your mobile phone. We now also do complete MP3 playback and browsing. By utilizing the very latest Parrot FC6000 Bluetooth Technology, mObridge M2 PRO offers Best-In-Class telephone support with greater than 1000 supported devices. The mObridge M2 Pro Bluetooth & Multimedia product is quite simply the ultimate MOST platform available on the market today supporting Mercedes, BMW, Porsche & Audi. The mObridge M2 Pro is the new successor to the very successful ABT2010. The Pro builds on the ABT2010 by now adding USB MP3 playback and iPod Lightning jack support. Utilizing the latest in Parrot Bluetooth technology the mObridge M2 Pro features the standard array of phonebook and telephony control customers have come to expect from mObridge. The Pro system now adds the latest iPod/iPhone control through the vehicles radio and steering wheel control as well as the addition of MP3 USB playback and now support complete browsing over the iPhone Bluetooth interface and it can do all of this simultaneously allowing uses to simply select different devices plugged in! The mObridge M2 Pro supports USB hubs so it is possible to run both USB memory sticks and the iPod at the same time. In addition to this we have now added our Android app available through the App store which now gives the unit the ability to do automatic software upgrades from any Android device. 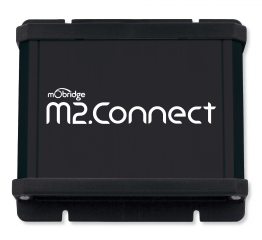 The mObridge M2 Connect platform is the third generation mObridge MOST Bluetooth Interface that builds on the popular first & second generation M1000-M-BT products and is by far the most advanced after-market Bluetooth Interface available for many MOST-bus vehicles which now includes a secondary dedicated Digital Signal Processor for handling MOST audio. The mObridge M2 Connect allows the use of the vehicle’s factory controls and display unit to control and browse the telephone book and call lists of your mobile phone. By utilizing Parrot Bluetooth Technology, mObridge offers Best-In-Class telephone support with greater than 1000 supported devices. The mObridge M2 Connect has an easy vehicle selection with DIP switches the product also contains USB for software updates as well as 1A phone charging.